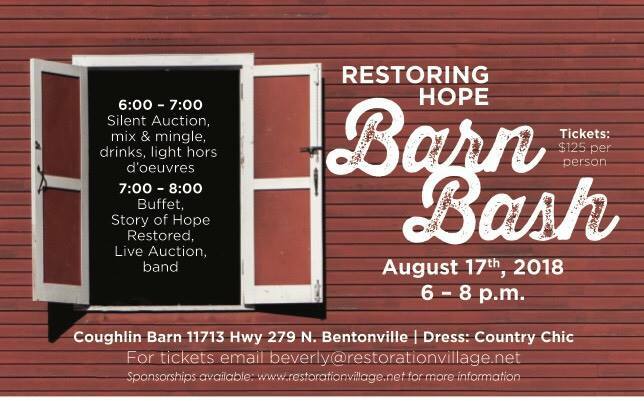 The inaugural Restoring Hope Barn Bash will feature a silent auction, drinks, food, music and a story of hope. The dress attire is country chic, and event proceeds benefit Restoration Village. For more details, visit www.restorationvillage.net.